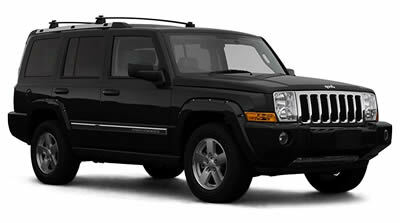 The Jeep Commander has a hitch receiver tow bar which incorporates a removable square hitch that is fitted with a quick release pin. These bars have a 50mm square receiver hole. Heavy duty hitch receivers are ideal for towing caravans, horse floats, car trailers and larger boats depending on the vehicles towing capabilities. They also allow quick removal of the tow hitch when not in use to save those shins.The square hitch tow bar can also provide a mounting point for a wide range of bike carriers. Please see our bike rack pages for details. Although if there is a spare wheel mounted on the rear door you will need to choose a bike carrier that can accommodate this.